Maibock – a beer style for spring! 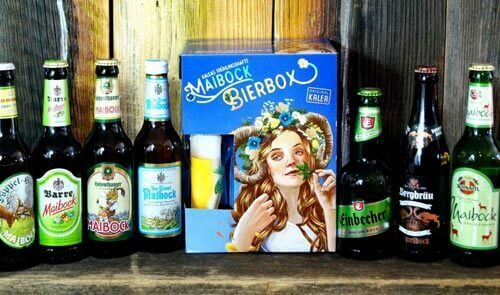 This box includes 7 different Maibock specialities that build a perfect bridge between the sweet n’ strong beers of winter and the refreshingly-dry beers of summer! Naturally, one of our tasting glasses is included in the deal as well – for the optimal tasting experience.